Write your email and I will send you one. I have 2 DOTA keys aswell if anyone is interested. Ok all I have 1 DOTA 2 steam key left. All DOTA 2 keys have now been given away, I hope you both enjoy your Games. Someone has six I forgot who though. How did you get so many keys? Ah yes Psykosama told me you had 6 keys. 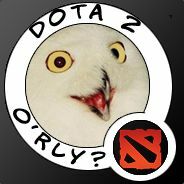 I tried DOTA2 I just found it boring. Well, Dota 2 is free. Yeah, read the Dota 2: Early Access Pack. It says Dota 2 is a free game. Oh what jolly fun a hats only dressing up thing I enjoyed in a game was Sackboy from Little Big Planet.